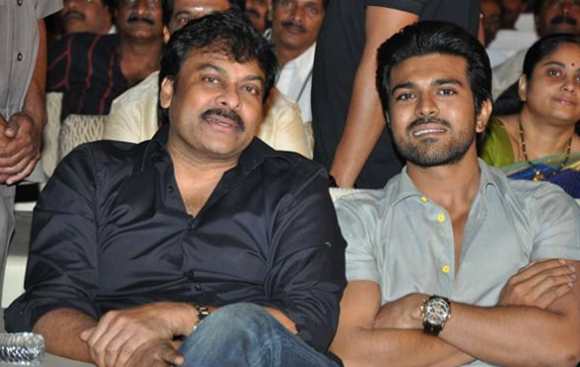 Megastar Chiranjeevi’s 150th movie announcement is expected to be made on August 22 on the eve of actor’s Birthday and Ram Charan in a recent interview to Telugu News Daily said that he will act in Chiru’s 150th movie. Meanwhile, Ram Charan is busy with the shooting schedules of Govindudu Andarivadele movie in Krishna Vamsi direction with Kajal Agarwal as leading lady under Parameswara Arts productions banner. charan balaji on Ram Charan Teja’s Bollywood entry with Zanjeer? Copyright © 2009 Ram Charan Teja . All rights reserved. Designed by Theme Junkie . Powered by WordPress.